Congrats. 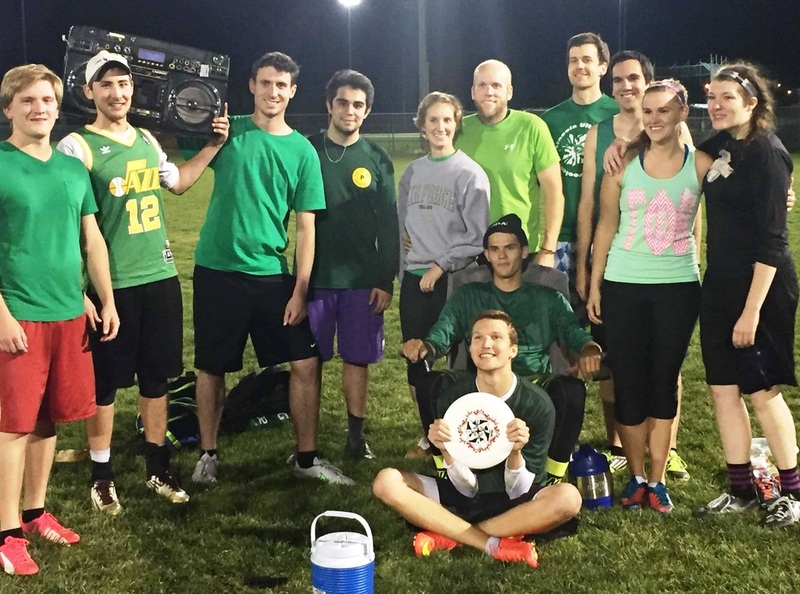 to Jolly Green Giants for winning the LUDA Fall League 2015 play-offs! 7 vs. 7 Coed -- At least 1 girl per side on the field. Captains shall make further gender balance decisions on a game-by-game basis. Two games per team per night, at 7:00pm and 8:30pm. As daylight runs out, games will be played under the stadium lighting. Registration fee is $30/player. League dues must be paid by week 3, September 28. Contact us at info@lincolnultimate.com if accommodations are needed. Each round hard-capped at 90 minutes, with a 5-minute warning issued at 85 minutes.